Who: Deer Creek is a family run facility that takes pride in family values and business ethics. The small details create the big picture. 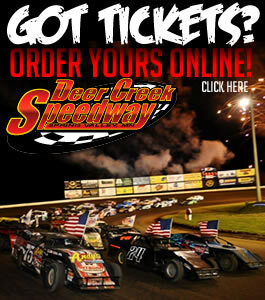 What: Deer Creek is a 60+ acre facility with one of the Midwest’s most state of the art racing complexes. 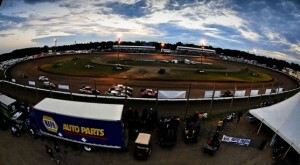 This high banked 3/8 dirt-clay race track puts on an average of 30 events a year. We are proud to employee 56 employees per event with over 100 part-time employees on call. With 24 VIP Suites, 36 VIP Decks and a total seating capacity of up to 8,000 Deer Creek is set to host some of the biggest events in the country. When: Deer Creek is a year round operation. The race season runs from April to October but the action doesn’t end there. The off-season entails banquets, car shows, trade shows, vacations shows, benefits, and more. Where: Deer Creek is located 15 miles South of Rochester, MN on U.S. State Highway 63. A highly visible and extremely accessible location.